This is one of the best Black Friday camera deals we've seen – and it's still going. Cyber Monday camera deals are starting to come thick and fast already, but here's a standout offer for anyone looking to make the move to a full-frame mirrorless system, or upgrade from an older model. 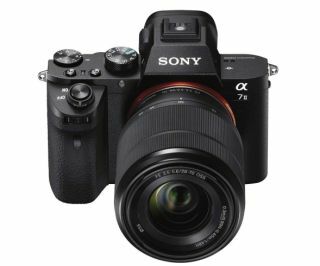 Amazon US has slashed an incredible $741 off the retail price of the Sony A7 II with 28-70mm lens, meaning you can pick it up for just $998 (was $1,739) – that's an unbelievable 42% discount. The Sony A7 II is a fantastic camera that delivers a maximum 24.3MP pixel count, and unlike the older A7, offers 5-axis image stabilisation. It features a sensitivity range running between ISO 50-25,600, and a tilting 3in LCD, as well as Wi-Fi and NFC connectivity. These Black Friday deals are ridiculously good – so if you're looking to move into full-frame photography, or want to switch to a mirrorless system (or know someone who does), these are the best prices on the A7 II we've ever seen. Save $741 - Grab this amazing Amazon price drop while you can. Right now, you can get the superb full-frame mirrorless Sony A7 II plus lens for just $998. The Sony A7 II is an impressive update on the original A7. The A7 II's Autofocus and start-up times are up to 40% faster than those on the the first generation A7, and it boasts a pin-sharp 2.36million-dot, 0.5-inch EVF. At launch it had the world’s first 5-axis in-body image stabilization in a full-frame camera. The A7 Mark II is a great option for an enthusiast or even pro photographer, and it’s a perfect vector for jumping aboard Sony’s system. At these prices, it's a ridiculous deal.